ADDIS ABABA, Oct 21 2014 (IPS) - Ethiopia is widely regarded as an African success story when it comes to economic growth. According to the International Monetary Fund, the country’s economy is growing by seven percent annually. But there are concerns that climate change could jeopardise this growth. At a recent meeting at the United Nations conference centre in the Ethiopian capital, Addis Ababa, the world’s foremost climate change experts sent a clear message: the impacts of global warming, rising surface temperatures and extreme weather will be felt as acutely in Africa as anywhere in the world. For the last 18 months, more than 800 climate scientists have been compiling the Fifth Assessment Report (AR5) of the U.N.’s Intergovernmental Panel on Climate Change (IPCC). The report, which is being released in four parts until November, is according to the IPCC the most comprehensive, authoritative, objective assessment ever produced on the way climate change is affecting our planet. Its findings are unequivocal – climate change is real and there is more evidence than ever before that it is being driven by human activity. In Ethiopia, the IPCC says, climate change will inevitably have an impact on people’s lives. Dr Katie Mach, a climate scientist at Stanford University and lead author on the AR5, gave a stark assessment of the impacts climate change could have on Africa’s second-most populous country. “[Climate change] will increase risk associated with extremes, such as extreme heat, heavy rain and drought. It will also make poverty reduction more difficult and decrease food security,” she told IPS. The IPCC says the economic impacts of climate change will be most severe in developing countries. This is because the economies of poorer nations are less able to adapt to changes affecting industry and jobs. Many of Ethiopia’s 90 million people are still reliant on agriculture to earn a living. The country has an estimated 70 million smallholder farmers, many of whom only grow sufficient amounts of crops like the staples of grain and coffee to support their families. It is these smallholder farmers who are most vulnerable to the impacts of climate change, particularly if temperatures rise sufficiently to damage crops like coffee. “Coffee’s worth about 800 million dollars at the moment and under the government’s plan for economic growth it’s set to grow to 1.6 billion dollars by 2025,” Adam Ward, acting country representative for the Global Green Growth Institute, an intergovernmental organisation that works as a partner with Ethiopia’s government on its Climate Resilient Green Economy strategy, told IPS. 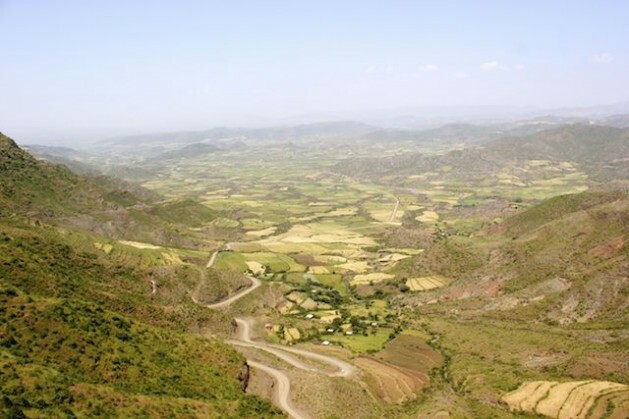 The government of Ethiopia created a Climate Resilient Green Fund, which has already leveraged 25 million dollars from the United Kingdom’s Department for International Development (DFID), as well as 10 million dollars from Norway. “If we’re at the top end of the spectrum of climate change impacts, we’re looking at potential annihilation of the coffee crop, so that’s 1.6 billion dollars being lost to the economy if the most serious impacts of climate change become a reality,” Ward said. The report sets out several options for policymakers, ranging from doing nothing, the so-called “business as usual” course of action, to aggressive measures to tackle climate change, under which governments across the world would take urgent, rapid steps to reduce carbon dioxide emissions. Ethiopia is taking steps in the right direction, but huge challenges remain. The country’s climate change strategy calls for annual spending of 7.5 billion dollars to combat the effects of climate change, but the actual funding available falls well short of this. According to the Overseas Development Institute (ODI), the government is only able to afford an estimated 440 million dollars per year. This is something Ethiopia has in common with other East African countries. In Tanzania, an estimated 650 million dollars is needed annually to tackle climate change, while actual yearly spending is 383 million dollars. Uganda’s climate change policy sets out required annual spending of 258 million dollars, while current public spending only amounts to 25 million dollars per year, according to the ODI. Even so, the IPCC believes there are opportunities for Ethiopia to protect its citizens from the most damaging effects of climate change, typically by adapting to changes that are already taking place. “An important starting point is reducing vulnerability to the current climate, learning from our experiences with extreme heat, heavy rain or drought,” said Mach. This is a process that is already underway in Ethiopia, according to the Agricultural Transformation Agency (ATA), a government body set up to help make the country’s agriculture industry more resilient to challenges like climate change. “Climate change and the ensuing higher frequency and intensity of extreme weather… has already led to visible shifts in the cropping calendar of Ethiopia and significantly increases the risks related to agricultural production, exposing smallholder farmers to vulnerability,” Dr Wagayehu Bekele, director of climate and environment at the ATA, told IPS. “Climate change not only risks exacerbating the food security problem, for those whose livelihoods directly or indirectly depend on agriculture, but also exerts pressure on overall economic development, as agriculture is the basis for the economic development of the country,” said Wagayehu. The message from the IPCC is clear – this is a problem that is real and that governments across Africa need to deal with. How they do this and who covers the substantial cost will be up to the politicians. This is part of a series sponsored by the Climate and Development Knowledge Network (CDKN). Minus the increased desertification, Ethiopia has one of the best weather in the continent due to higher elevation topography even though it is not that far from the Equator. With and average 26-29’c , the weather is really beautiful throughout the 13 months(Yes, Ethiopia has 13 months calendar.) This land rehabilitation effort is really a great news for the country not only for food productivity but for tourism as well which will help boost its hard currency reserves. This nation is off to a great start with sound socio-economic and environmental policies firmly footed on the ground, the time when all Ethiopians can afford a decent standard of living is not far. Another great policy that is often overlooked is the Urban Housing Program which ensures that ordinary people are afforded with affordable housing accommodations as the rural-urban migration freight in search of jobs accelerates. This program, which is in all cities and towns, has so far built 200K subsidized apartments and condominiums and distributed to households. This effort has won an award from the UN-Habitat. Housing is a fundamental right of all citizens. Nations must do everything in their capability to ensure that every citizen has room over his/her head.